I really like Nicol’s approach as it seems (to me) to be about getting students to be able to make accurate judgments on their own work. His earlier work (2009) uses ’empower’ and ‘engage’ and I think this is the essence of these 12 principles. I like number 12 too – learn from your learners. 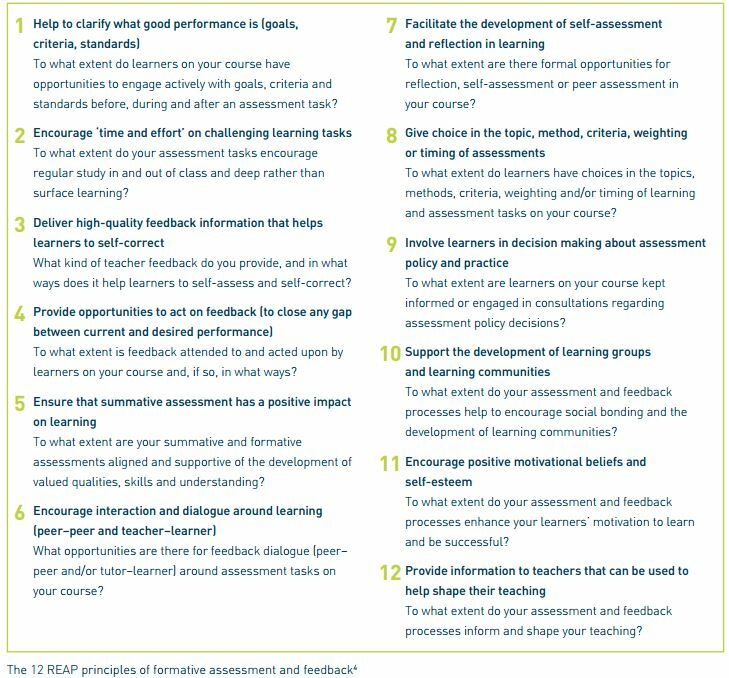 This ability to self-assess is really important to me as I would view learning as ‘situative’ and this ability to judge and value your own work is essential to ‘becoming’ a member of the CoP. This is related to confidence somehow so I am looking forward to the webinar shortly to see how this is built in….